The recipe here is a variation of the one in the “Pillsbury The Complete Book of Baking”. We didn’t use orange peel or chocolate. Ahem, if you are on a diet or are pretending to be, this isn’t for you. 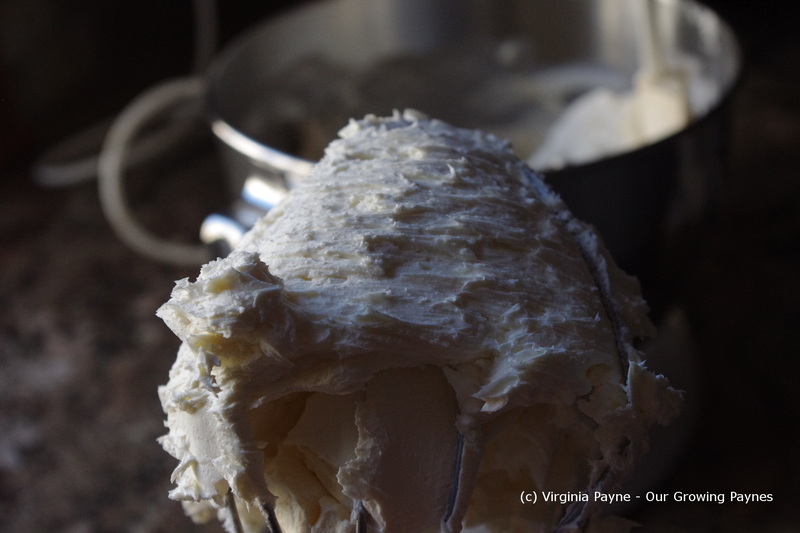 For a start, there is 32oz of cream cheese. The full fat stuff. 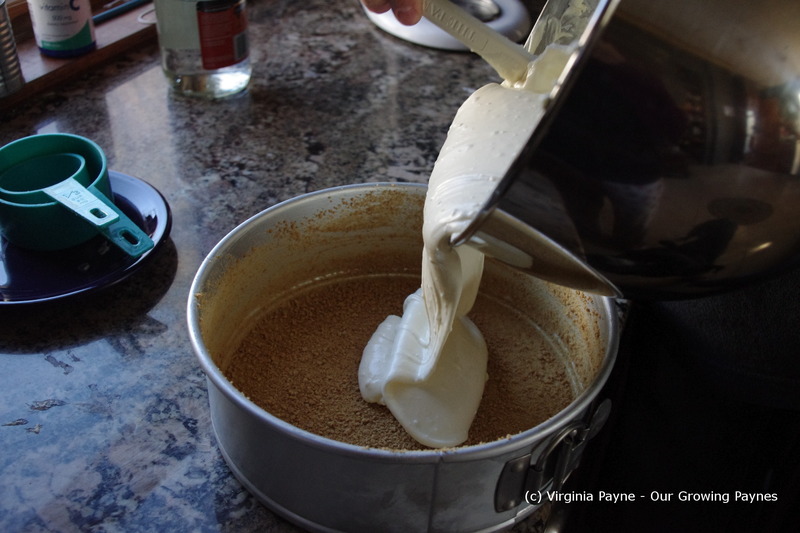 I try in a lot of recipes to use low fat when I can but that’s a no-no for this. So let’s begin! 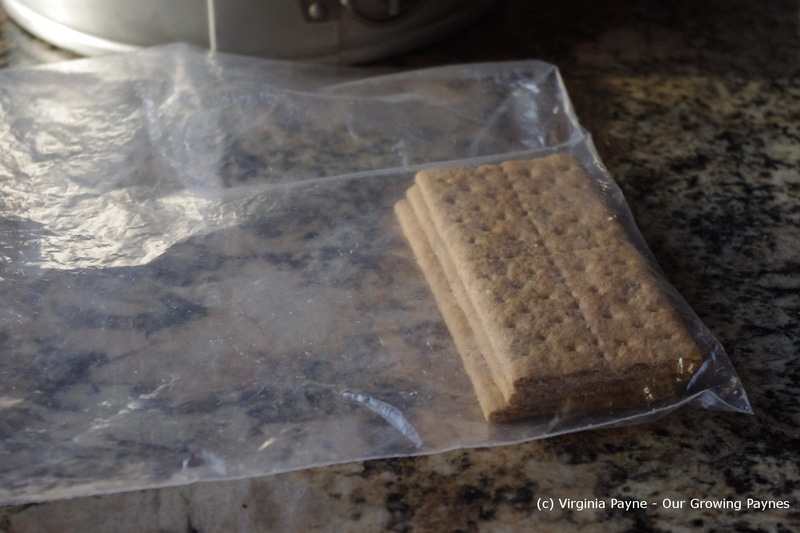 Then using a plastic baggie crush enough graham crackers to coat the bottom and part of the sides. 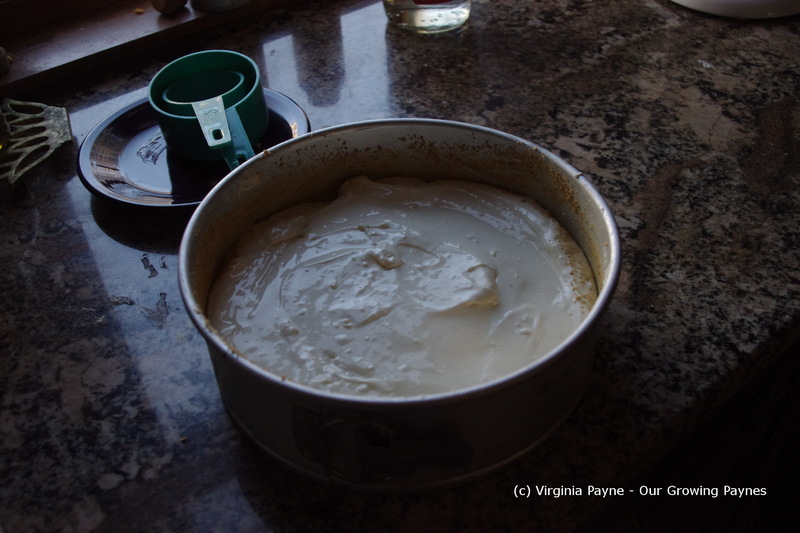 To make the cheesecake you will need 32 oz of cream cheese, 4 eggs, 1 1/3 cups of sugar, 2 T of orange liqueur. 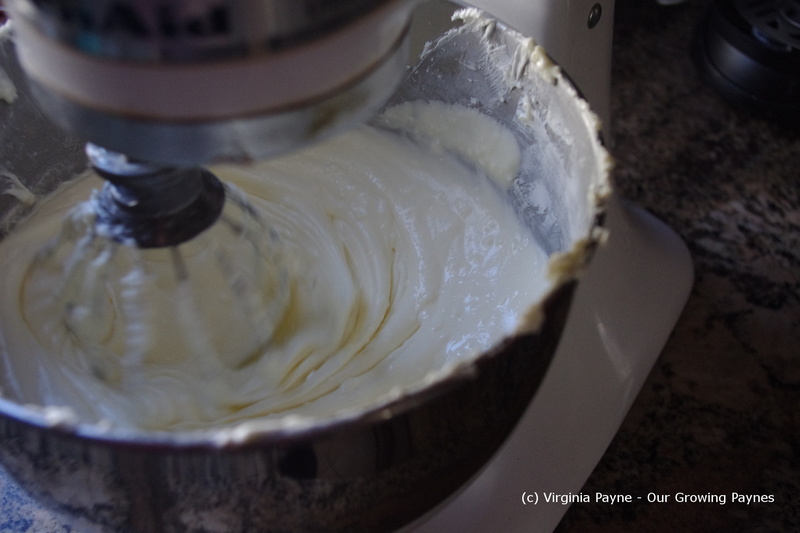 Cream the cheese in the mixing bowl until it becomes creamy and smooth. 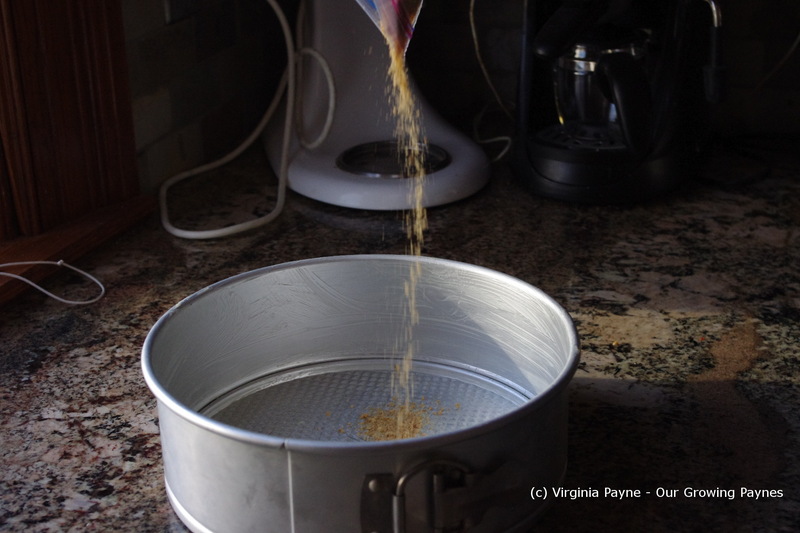 A bit at a time add the sugar mixing until it is a smooth mixture. 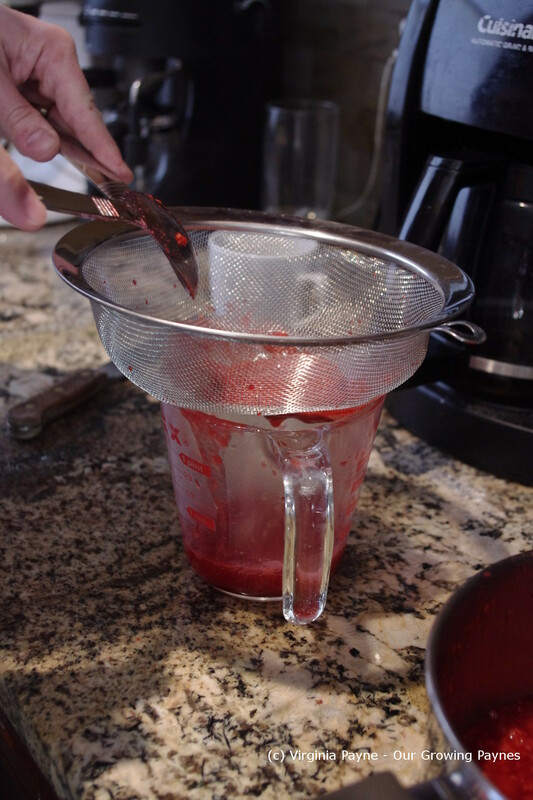 With the mixer on low add an egg at a time, then add the liqueur. 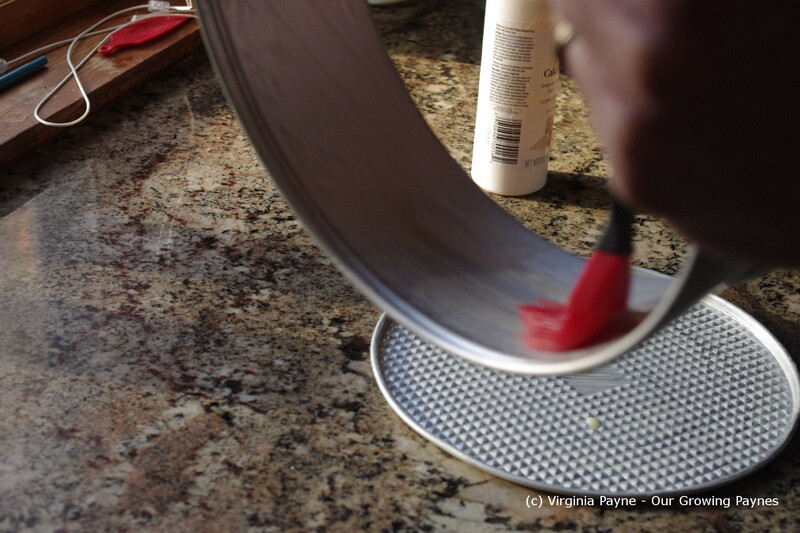 Once incorporated beat for a couple of minutes making sure the sides are scraped. Pour into the pan and then bake for an hour. 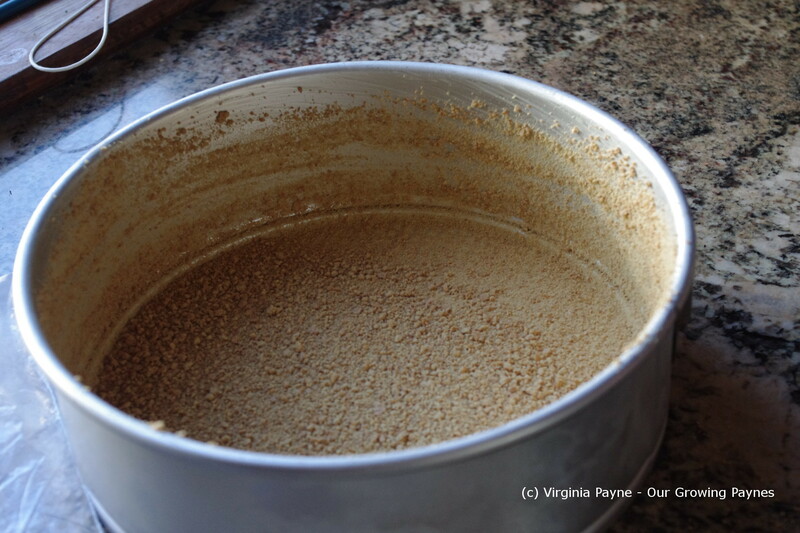 Once it is set, allow it to cool for about 10 minutes before removing the form from the bottom. For the sauce my husband heated raspberries with lemon and sugar to taste until it was a thick sauce. Then he strained it to remove the seeds. To serve just pour over the cheesecake and enjoy. The sauce was a perfect counterbalance to the sweetness of the cheesecake. A lovely tartness to it. 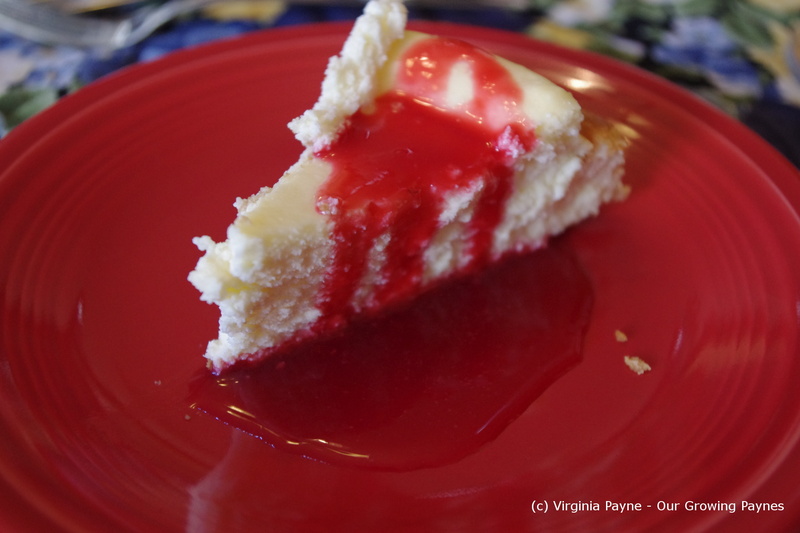 This entry was posted in recipes and tagged baking, cheese, cheesecake, dessert, raspberry, sauce. Bookmark the permalink. Beautiful. 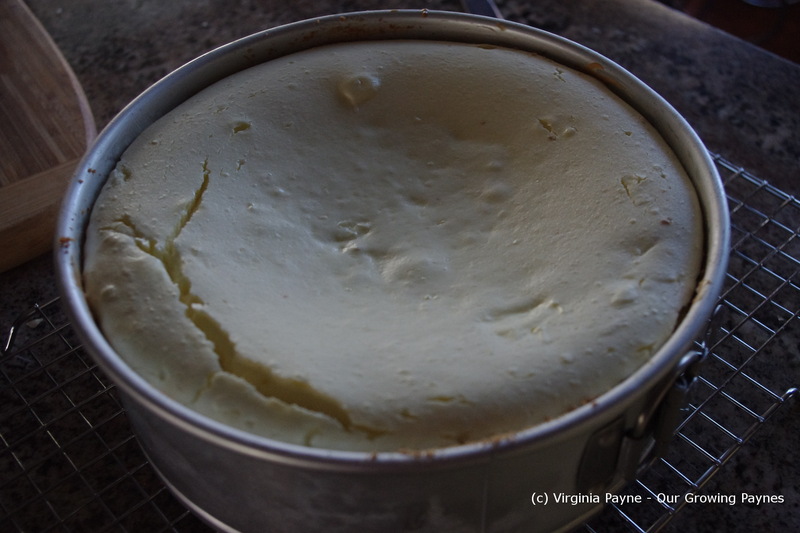 The one dessert I can’t resist – cheesecake. Very nice indeed. 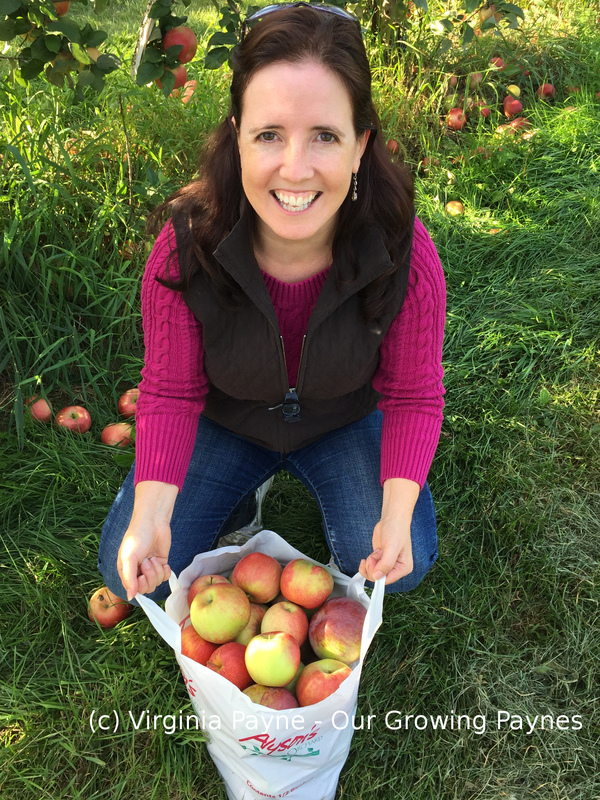 I hope you had a great Thanksgiving. Looking forward to our Christmas holiday over this side of the pond. Such a great pairing! This cheesecake is also good with peach or strawberries. So what gets used with cheesecake over there then? 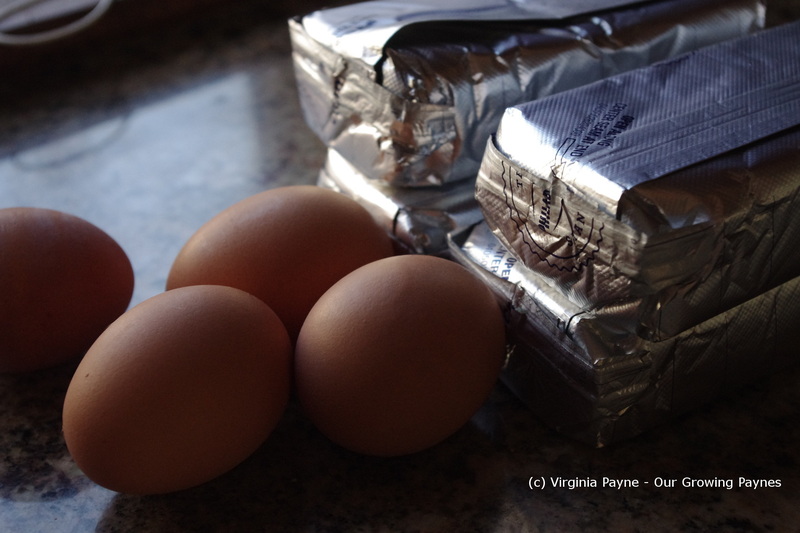 Doing this blog I realise there will be a few ingredients I’ll have to have imported when we move back. Kind of like now where we can’t get certain British stuff here. I made a pecan pie cheesecake for Thanksgiving…nobody complained that it wasn’t pie! I always make a raspberry sauce for my cheesecake but without the citrus. I bet that lemon adds a nice flavor to it. I do like my tarts .. er … tart flavor. Belated birthday wishes to your Husband. Like him, I would have opted for cheesecake, too. I love apple pie but a cheesecake is in a class all its own. Yours here is proof of that. LOL, watch out for those tarts! The cheesecake was such a hit our daughter asked for it for her birthday. Sigh, I won’t be able to decorate a cake for her. They grow up so fast.